The European Union today announced that it has lifted the ban on Sri Lankan fish imports, Minister of Fisheries Mahinda Amaraweera announced. The EU decision came following a crucial discussion today between officials from the Sri Lankan government and the European Union. 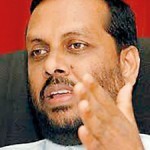 Since the ban, Sri Lanka recorded a loss of at least US$ 100 million annually. The EU imposed a ban on importing fish from Sri Lanka to EU countries in January 2015, due to illegal, unreported and unregulated fishing activities carried out in Sri Lanka. The decision to lift the ban comes after a special EU team visited Sri Lanka late last year to evaluate the progress made in ensuring that Sri Lanka complied with the necessary requirements to lift the ban. A major share of the country’s fish exports amounting to over 65% were exported to EU countries, before the ban. A crucial meeting between the Sri Lankan government and the European Union will be held on Thursday to discuss the EU ban on Sri Lankan fish exports. The meeting comes as Sri Lanka recorded a loss of at least US$ 100 million last year due to the ban.